A garden planted by Zoo volunteers at the Wells Fargo Family Farm is harvested to provide Lancer Hospitality Farm to Fork produce. Lancer’s chefs use the fresh produce at the Call of the Wild Café, Grizzly Coast Café and the Country Fare Café. The produce includes everything from Big Boy and cherry tomatoes, jalapenos and bell peppers, Romaine lettuce, and cucumbers, to a variety of herbs such as cilantro, parsley and basil. The locally grown produce reduces consumption of fossil fuels in the transport of food products, eliminates wasteful packaging and reduces the use of pre-packaged, processed foods on the menu. 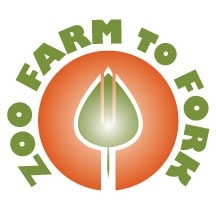 Zoo Farm to Fork produce provides Zoo visitors a greener, fresher and healthier option.